4 Beds 2 / 0 Baths 1,739 Sq. ft. Description: This is the home to see first! 4br/2ba located in demand country creek subdivision.This home offers split floor plan, large family room great for entertaining with beautiful hardwood floors, spacious bedrooms, 2 car garage, 16x10 kitchen with eat-in area and kitchen island, large inside utility room. Walk outside and enjoy sitting in the oversized screened patio overlooking the fenced backyard. You love the lemon trees, grapefruit trees and pommell trees the roof is 2 years old, and home has been well maintained and ready for you to move in! 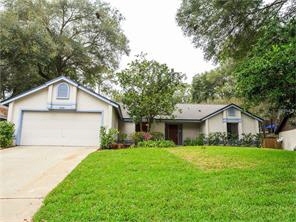 This home is located in one of the best seminole county school districts with bear lake elementary, teague middle school and lake brantley high school and subdivision has 2 community pools, tennis courts, playground, and walking distance to the altamonte springs lake lotus nature park as well as enjoying the seminole trail for biking and walking. A perfect location and home for you!! !